Considering a new rubber roof for your home? Count on Scenic View Roofing for top-of-the-line rubber and flat roofing services. Flat roofing has become more common in contemporary society for many reasons. Some prefer a flat roof for easily accessible rooftops with a view, others enjoy the sleek look for a modern location. Regardless of your reason, Scenic View Roofing LLC will always accommodate your roofing preferences without delay and at a fair price. We currently use different roofing materials to engineer our flat roofs, including modified bitumen, polyvinyl chloride, thermoplastic polyolefin, and turbo seal. Furthermore, Scenic View Roofing LLC has shifted to perpetual membrane sheeting for our flat roofs. Our team of experts have found that perpetual membranes are more resistant to accumulated static water during the rainier seasons. 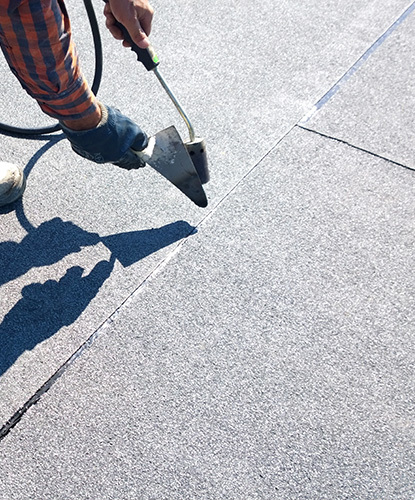 In addition, we use top-grade adhesives to bond together multiple sheets in order to offset the penetration of wind and water with all of our flat roofing structures. Flat roofs are still more susceptible to wear and tear, especially if renovations (i.e., upgrading HVAC apparatuses) are implemented. Hence, Scenic View Roofing LLC does not recommend the use of a flat roof as a living area without an additional roofing support system set in place: such as topsoil, stones, or a wooden deck to protect the membrane of the flat roof. Fortunately, flat roofs have several distinct advantages. For instance, flat roofing is the most cost-efficient roofing solution because the entire roofing area can be used for recreational purposes. 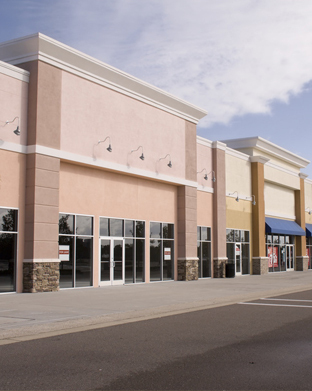 But choosing which style and material will work best on your building can be a more difficult process. For assistance, please contact Scenic View Roofing LLC. 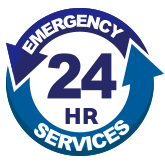 We are happy to provide information and a free price estimate for every job! You can count on us to use only high-quality materials on our roofing services. Give your building an upscale look with our flat and rubber roofs that come with clean, finished edges. Connect with our GAF certified roofing contractors to receive a free estimate of our services today.